If you follow me on Instagram you might have noticed that I like to spend a lot of time in the kitchen, and most of my cooking experiments involve Indian recipes. It wasn’t always that way. I really only started cooking at home about 4 years ago, and in the beginning my cooking skills were limited to pasta from a box and marinara sauce from a can, Hamburger Helper skillets, and anything else that could be assembled from a package (pretty sad). About 3 years ago I was messing around in the kitchen trying to make dal chawal, and I found my sweet spot; something clicked and my love for cooking Indian foods from scratch was ignited. Since then there have been failures and their have been successes, and along the way I’ve learned a few things about Indian cooking that I thought would be worth sharing with you all. 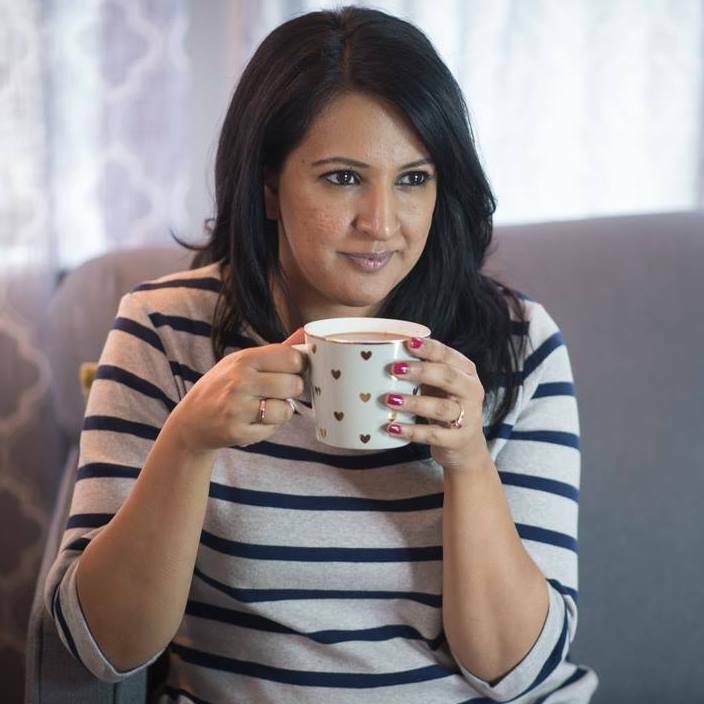 If you are struggling to find the time to cook more Indian food, or feeling overwhelmed by the process, here are some tips to get you started. Don’t stress yourself out with complicated recipes in the beginning. Master an aloo gobi sabji before moving on to something more complicated like saag. I am a huge fan of masoor ki dal (red lentils) and they are one of the easiest to cook. Masoor ki dal and chawal (rice) are on my meal plan almost weekly. I like to cook simple recipes I know will turn out right – it builds my cooking confidence! If you cook North Indian food, you can get away with a good garam masala (buy it pre-blended), haldi, and salt for the first little while. Trust me on this; if a recipe calls for other spices you can skip them in the beginning. Yesterday I made aloo methi with just these three spices because I was in a rush, it tasted just fine. Once you’re comfortable with them, you can start experimenting with others. (Check out my masala dabba post here for ideas). One of the biggest complaints I get from young women is ‘there are no real recipes’ for Indian food it’s all andaaza ‘guesstimate’. Firstly, there are so many blogs on the web that give detailed directions and recipes now that you can’t really use that excuse anymore. 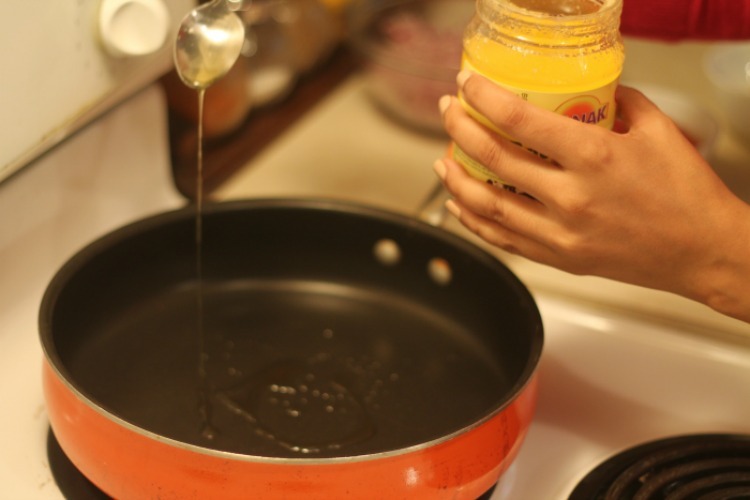 However, if it’s a particular recipe of your mom’s or your grandma’s that you are trying recreate, you’ll have to work with them for measurements. I usually ask my mom – how many chamach (spoons), and then I further deduce; bada chamach yah chota chamach? When I’m trying to recreate one of Mom’s recipes I know it’s going to take a few attempts, and I make lots of notes. If you absolutely aren’t comfortable with cooking Indian from scratch there are a lot of jarred sauces on the market. Work on mastering roti or chawal and then cook your sides from a sauce while you are learning. 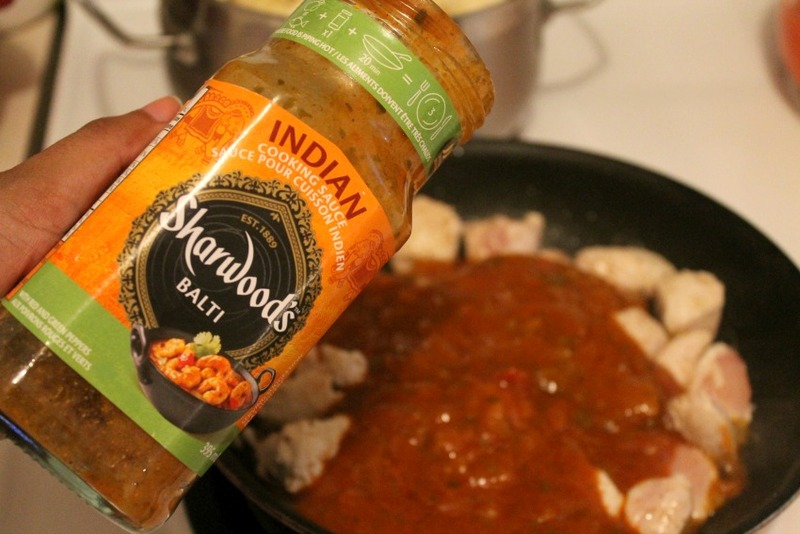 I recently tried Sharwood’s Balti sauce and it was really good. (I also like the korma flavour). It’s also great for a busy weeknight. I tend to spend some time each weekend prepping my vegetables, cooking up a pot of rice, making dahi, and prepping dough for roti making – cause aint nobody got time for that during the week! This is also when I restock my fridge with tadka cubes if I’m running low. 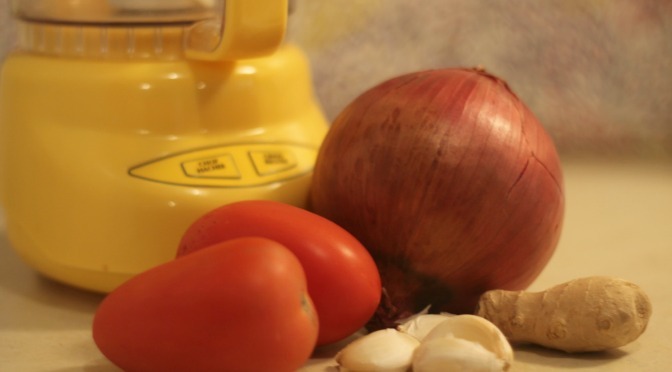 I hope some of these tips will be helpful in getting you started with Indian cooking. Ever since I watched the 100 Foot Journey I feel the intense urge to get all my friends into the kitchen to cook. Next Post 5 iPad Apps I Love!